Thanks Ladies for creating such amazing cards and projects with our stamps. It was a joy and pleasure to work with you! Vielen Dank für eure inspirierenden Karten und Bastelprojekte mit unseren Stempeln. Es war ein Vergnügen mit euch zu arbeiten! There are 3 equally talented Ladies waiting to fill the spots of Guest Designers and I would like to present them to you during the next days. Es gibt aber schon 3 weitere ebenso talentierte Designerinnen, die darauf warten den Platz der Gast Designer aufzufüllen. Ich werde sie euch hier in den nächsten Tagen vorstellen. Lets start with the wonderful Lacey Stephens (Handstamped by Lacey) from the United States. 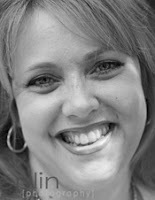 "I live in Sunny Florida, USA with my husband Scott and 2 children (Ansley and Ryan). I have been stamping for 2 years. From the first time I created my first card, I fell in love with stamping. I love to watercolor and participate in challenges. I am so excited and honored to be a guest designer for Whiff of Joy. " "Ich lebe in den sonnigen Florida, USA mit meinem Ehemann Scott und 2 Kindern (Ansley and Ryan). Ich stemple seit 2 Jahren. Ab dem Zeitpunkt an dem ich meine erste Karte gebastelt habe, bin ich dem Stempelvirus verfallen. Ich liebe die Aquarelltechnik und an Challenges teilzunehmen. Ich bin sehr aufgeregt und stolz, dass ich die nächsten 2 Monate für Whiff of Joy designen darf." 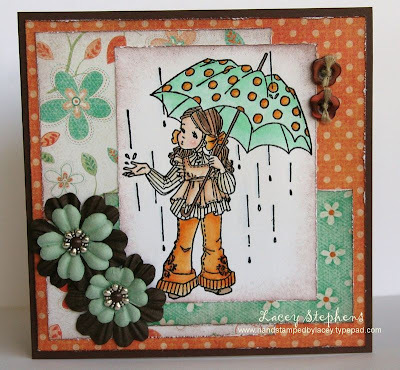 Here are some examples of Lacey's beautiful creations featuring Whiff of Joy stamps. I am looking forward to see what she comes up with in the future. beide Karten sind absolut süß. Thank you Katharina for an absolute wonderful time as your GDT! I loved every moment of it! Wonderful cards by Lacey! Love the colors and details!! Good luck on your GDT time, you are going to love it! Wonderful cards! So happy to get to be a gdt in may/june with you, Lacey!